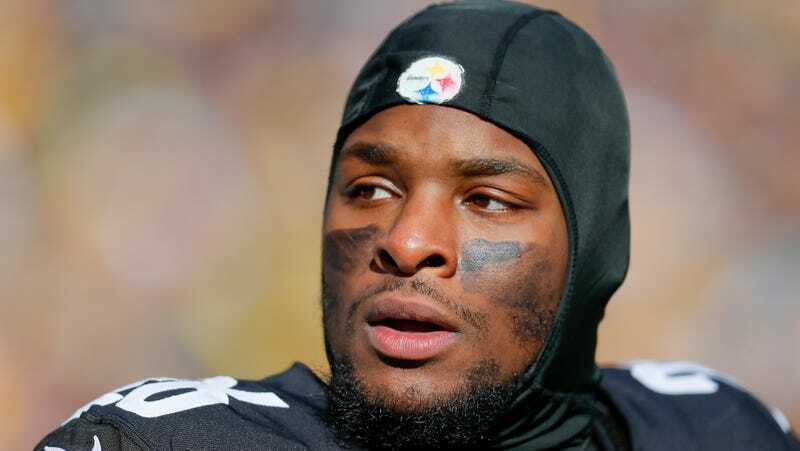 Le’Veon Bell’s absence from the Steelers will continue for another week as the team is not expecting him to return for their bye, according to a report form ESPN’s Adam Schefter. A report from earlier this month stated that Bell was aiming to come back around Week 7 or 8 in the hopes of suiting up for Pittsburgh’s game against Cleveland on Oct. 21. Though Bell himself never specified when he planned on coming back to the team—the ESPN report cited “a source” for the timeframe—there appears to have been some expectation of the all-pro running back returning soon. Quarterback Ben Roethlisberger joked in a post-game press conference that though stand-in starter James Conner was good on Sunday, it would be his last game for Pittsburgh. Bell has been in a months-long standoff with the Steelers in the hopes of securing a better contract with more guaranteed money after the team franchise-tagged him for the second consecutive season in March. He’s stated that he wants to retire as a Steeler, though reports indicate that the team has searched for a trade destination for their disgruntled, underpaid star. While Bell has been preserving his body from the wear and tear of a 16-game regular season, Conner has proven to be quite a suitable replacement—likely better than anyone could have hoped for—with 453 yards and seven touchdowns. But the Steelers—a team certainly with Super Bowl aspirations—had to wait for a two-game stretch against a decimated defense (Atlanta) and the franchise’s punching bag (Cincinnati) to get any semblance of a rhythm going after starting 1-2-1. One has to think that rhythm is found much sooner with Bell on the sideline.